How do you mesure the size of the wheel, as it relates to the tire? Clincher style tires are measured by overall diameter, so getting the actual rim size at first glance is not always easy. To determine the actual rim size as based on the tire, multiply the 2 1/2 by 2 (which is 5) and subtract from 26. This gives you a 21" rim! How do you mesure the dia. of the wheel? I.D. or O.D.? How will the clincher size relate? Thanks for contacting us! This rim is measured relative to the tire it can accept and all clincher tires are measured with outside diameter. 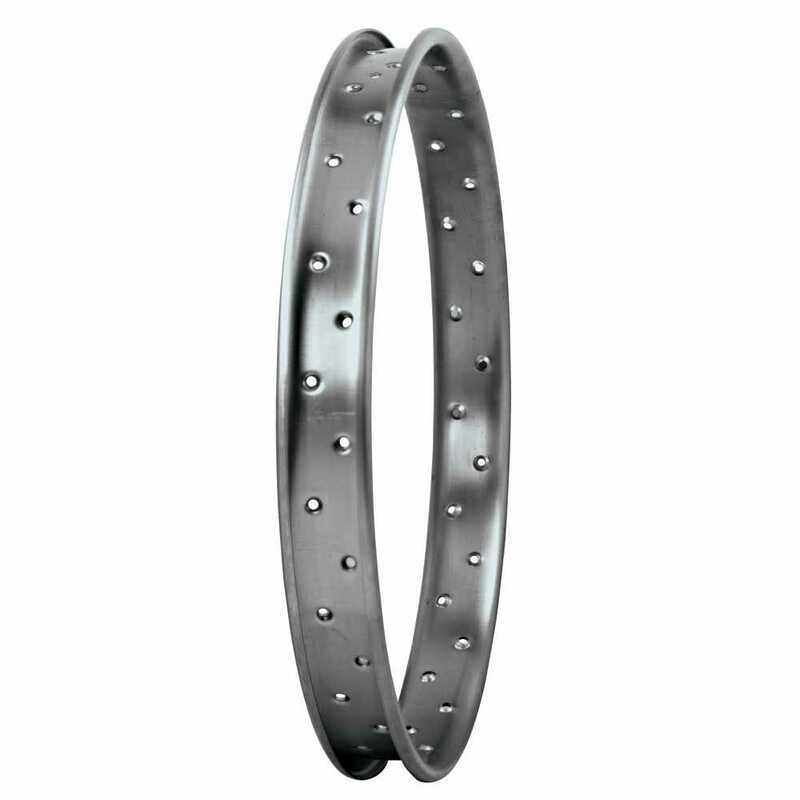 This rim is made to use a 26x2 1/2 tire, which means the rim itself is actually 21" in diameter at the bead.